Reduced to 72 inch, but with the same performance as its big brother. Suits geared 540 motors or brushless equiv. as well as small 4 stroke engines. 3 channel RC Assist or FF. 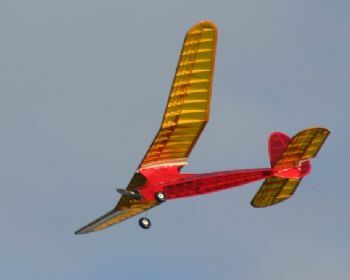 Belair Parts set includes laser cut bulkhead, pylon parts, wing ribs, tail ribs, fin, tail and wing tip outlines, dihedral braces, sub-fin plus a printed plan. Just add strip and sheet wood to complete.